0.00% APR for 6 months. 13.15% - 23.15% regular APR is not bad for students at all. %3 cash back opportunity for first 6 months. Then %1 cash back for purchases. You don't have to pay annual fee. If you ever want to travel, you will be safe with some features of this card. See more at card's page. %3 balance transfer fee (or $5) first 120 days after you got the card. You can build credit history while you are in college. Foreign transaction fee could be lower. You can find detailed information on Wells Fargo Cash Back College Card below. There is also review for each features of the card. Wells Fargo Cash Back College Card has many good opportunities for students. The card is providing %3 cash back. 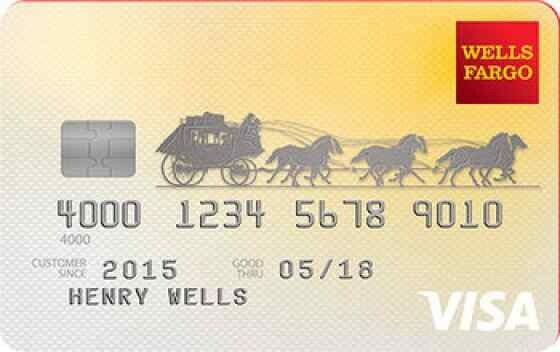 Besides Wells Fargo is providing one of the best APR opportunities of the company with this card. No credit history needed to get this card. Besides there is not any APR payment (except Cash Advance APR) first 6 months. However Cash Advance interest rate is the lowest in Wells Fargo credit products. 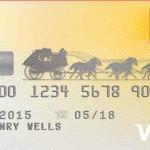 If you don’t want to pay much for cards, we recommend you to consider about Wells Fargo. %0 APR for 6 months is very good opportunity for students. This introductory period is for purchases and transfers. Cash Advance APR is 25.99% for the card which is already rate at almost all Wells Fargo cards. This is still very high though. Regular APR for purchase and balance transfer is 13.15%-23.15%. The minimum rate is quite good but the maximum rate is something you should consider. If your Wells Fargo College Credit Card has APR more than 20%, your interest rates can be high monthly. Your phone is also protected with Wells Fargo Cash Back College Card. There is $600 worth insurance for your phone if you have Wells Fargo College Credit Card. Your phone will be protected against damage and theft. This card will also help you to build credits and credit history. %3 cash back is an awesome opportunity for your purchases on gas, grocery, and drugstore. For other purchases you are going to cash back %1. There is no annual fee and this is a good advantage for students. There is not already too much student cards which asks for annual fee though. If you are purchasing from abroad, foreign transaction fee can be a problem. You will need to pay extra 3% fee for your foreign transactions. Cash Advance and Transfer fees are very high with 5% rate. However there is an introductory Balance Transfer fee period with 120 days. High APR is making this card unbeneficial for students. However there are good cash back rates of the card for first 6 months. Besides there is no annual fee. This is a good card for short term, however 6 months later it can be damage your home economics seriously if you use cash advance, balance transfers with the card. Regular: 13.15%-23.15% %3 Cash Back on some purchases in 6 months.